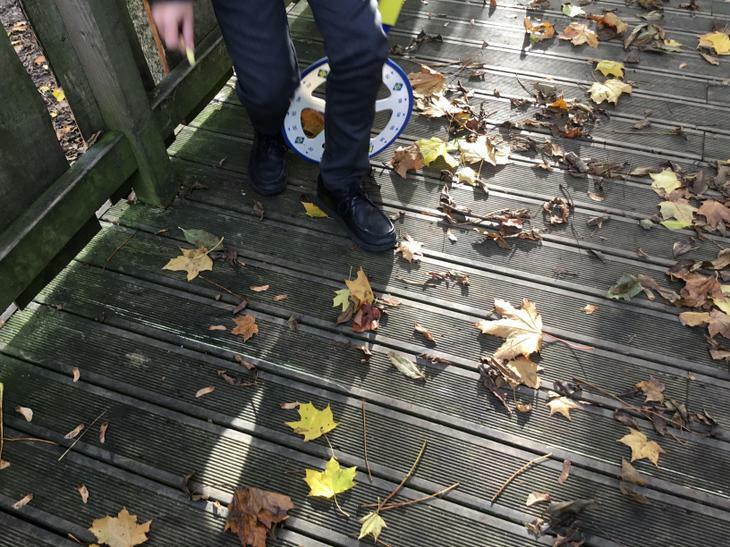 On Thursday 21st March a group of French University Students visited St Peters with UCLAN staff. 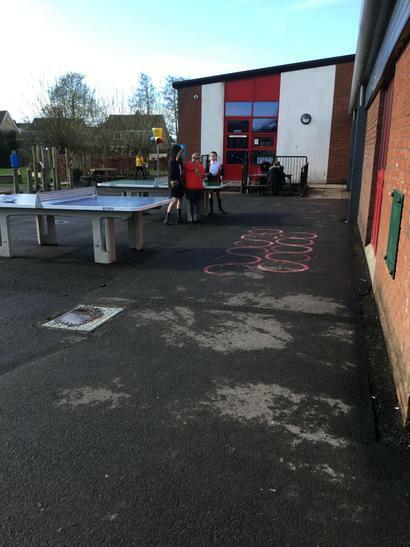 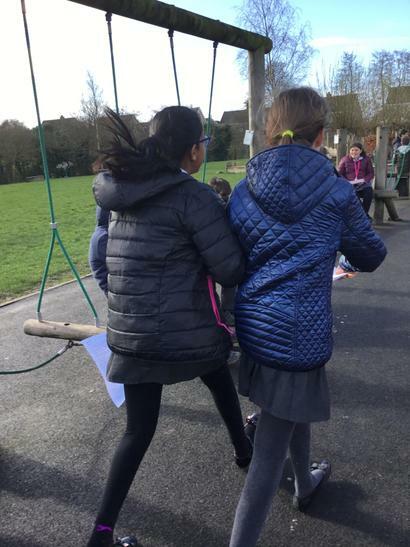 Children in years 5 and 6 enjoyed a carousel of sporting activities including football, table tennis, handball and gymnastics. 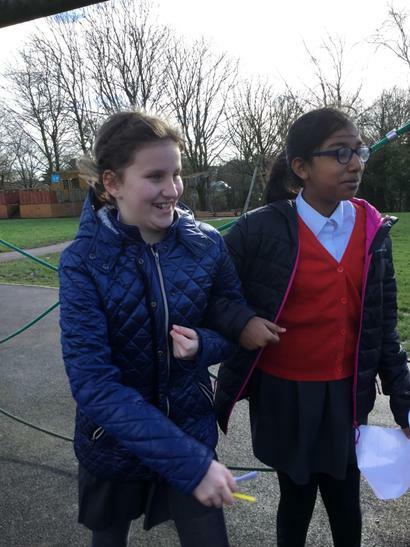 The French students gave instructions in French and St Peter's pupils were able to answer in French. 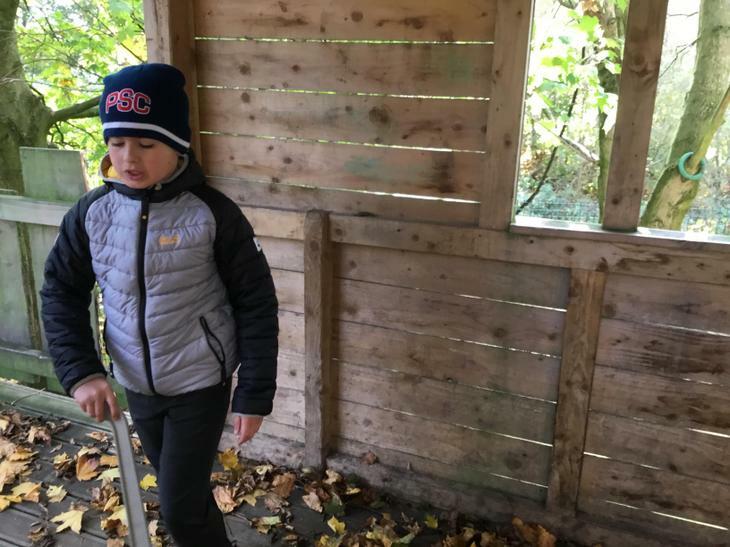 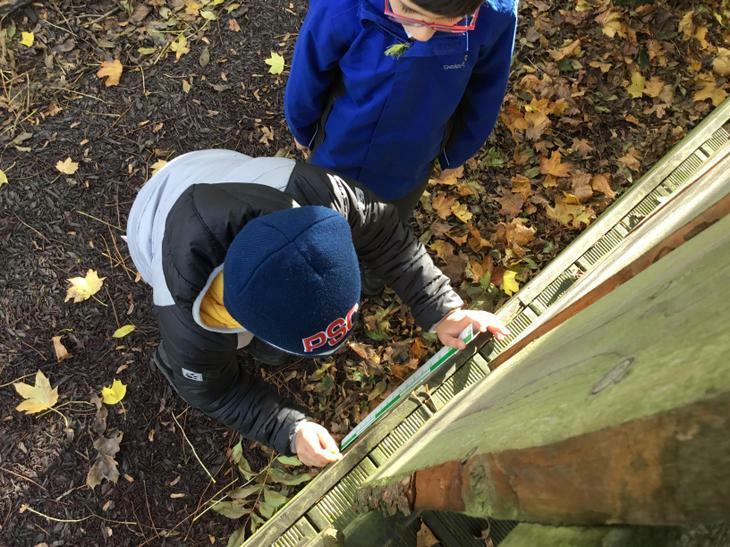 The children really enjoyed the morning of activities rating it either 4 or 5 stars in terms of enjoyment. 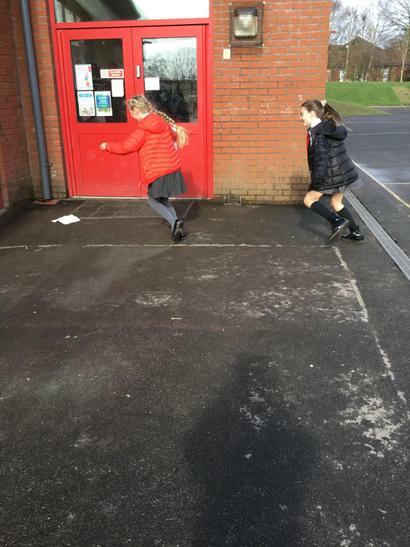 The children also learnt new French vocabulary. 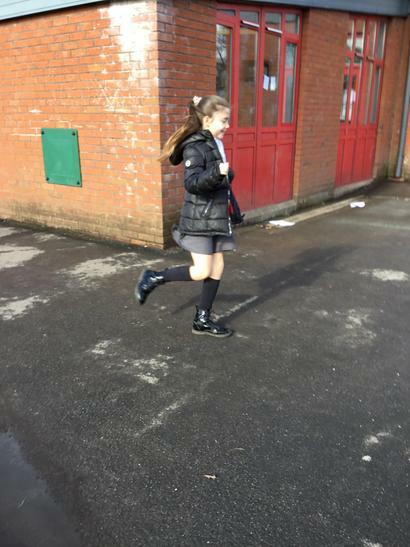 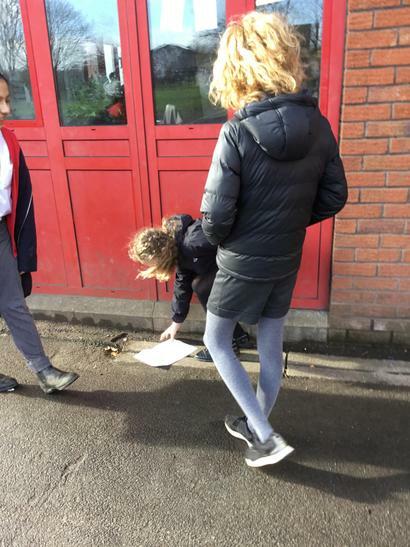 One child stated, " New words included different sports, animals used in the gymnastics lesson and counting in French." 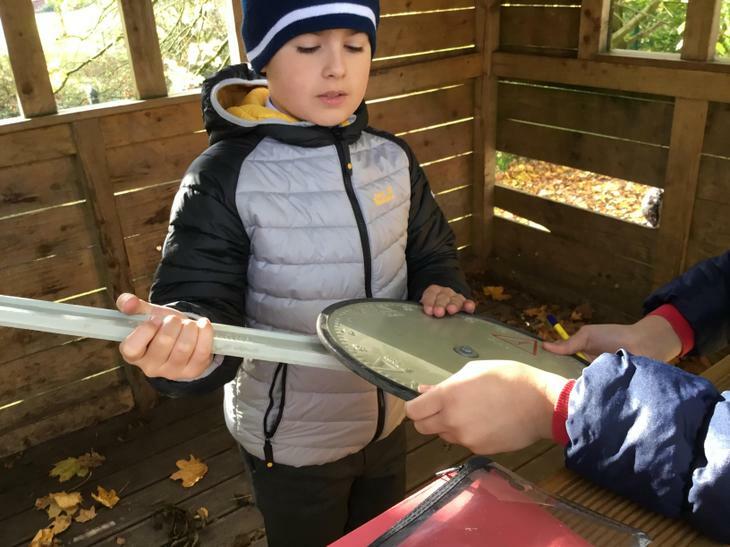 Another child said, " Our pronunciation of words has improved." 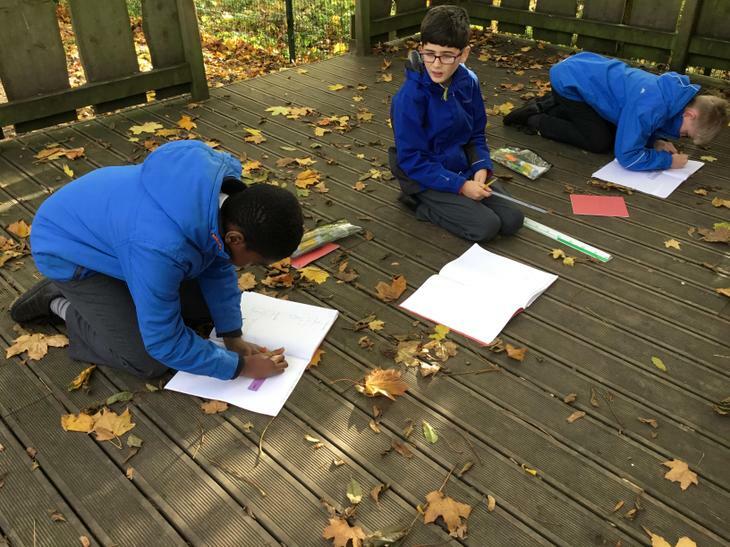 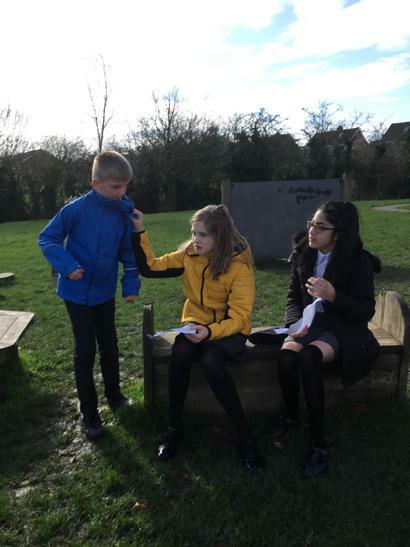 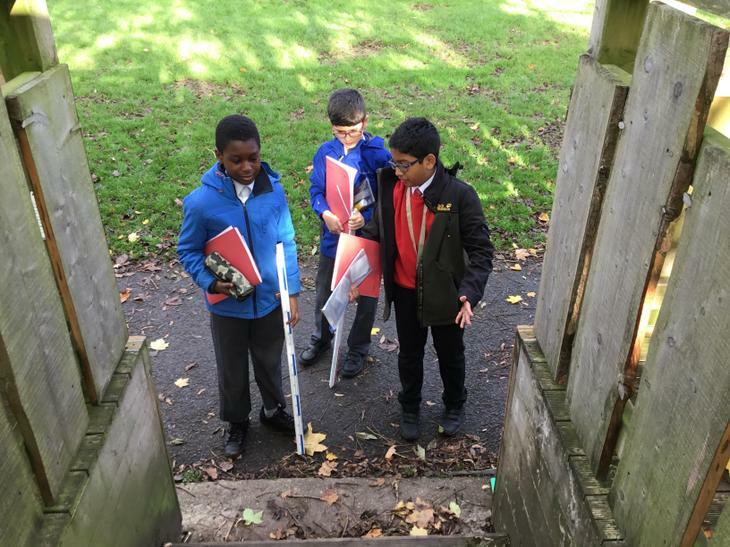 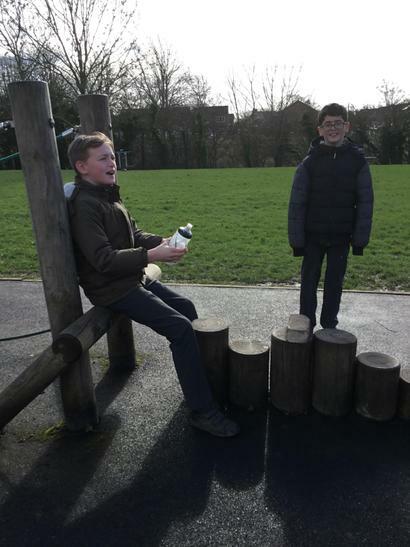 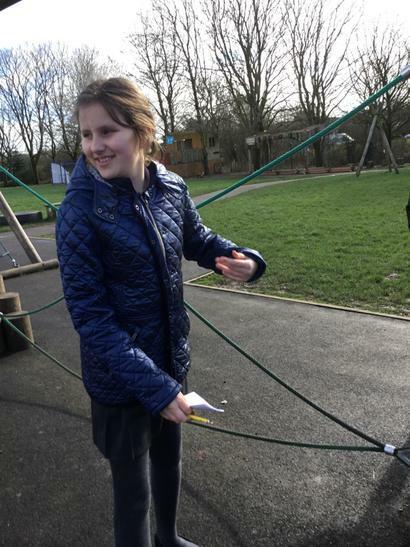 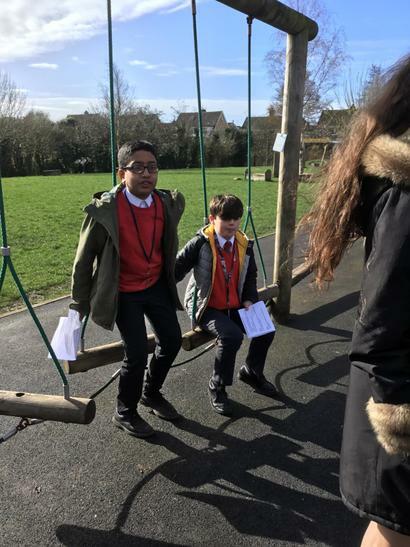 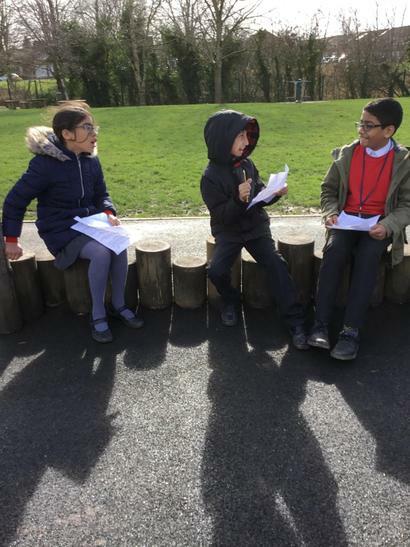 "Our favourite part of drama was that we got to learn outdoors and how we could experiment with the characters emotions. 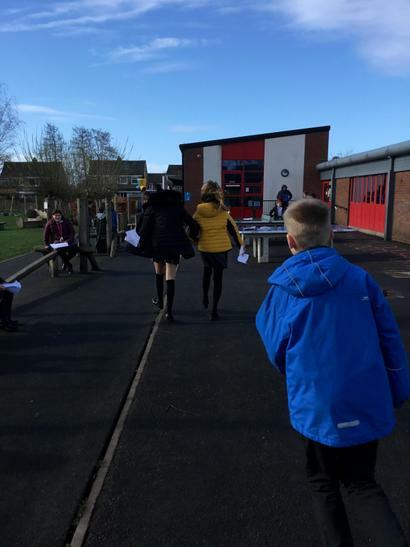 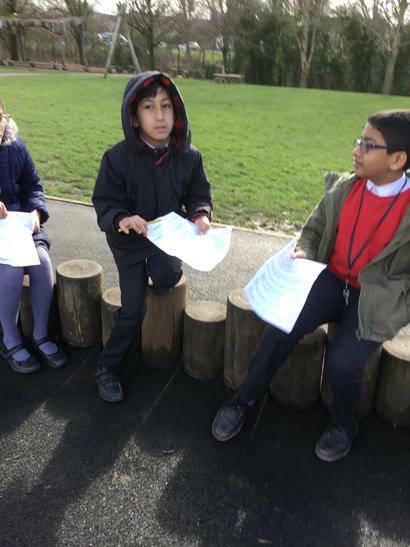 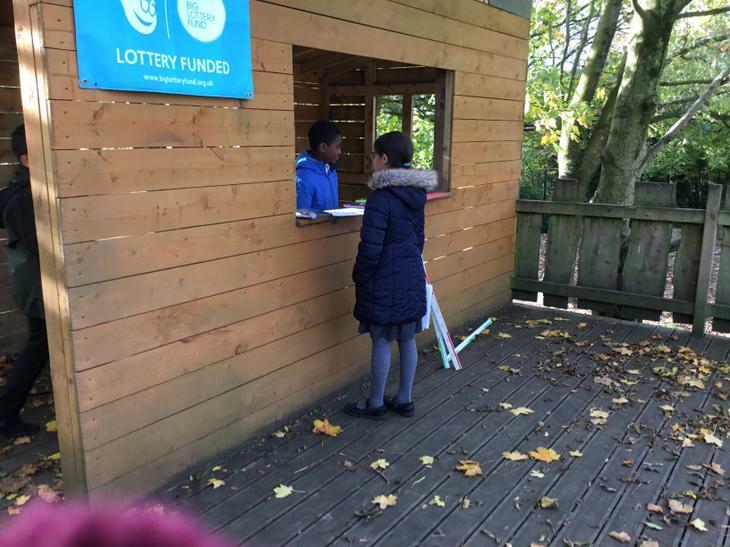 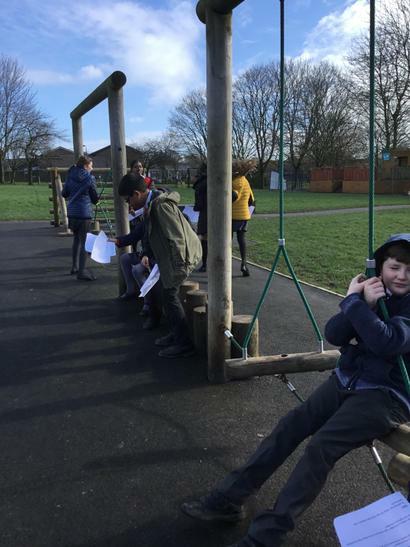 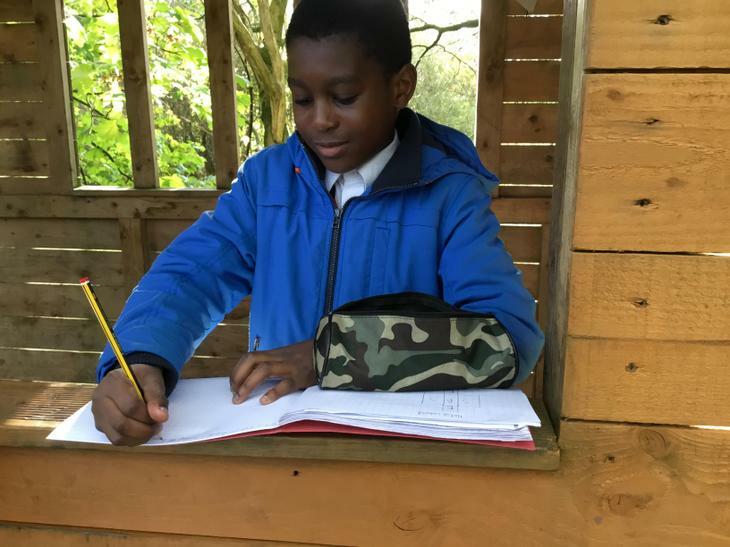 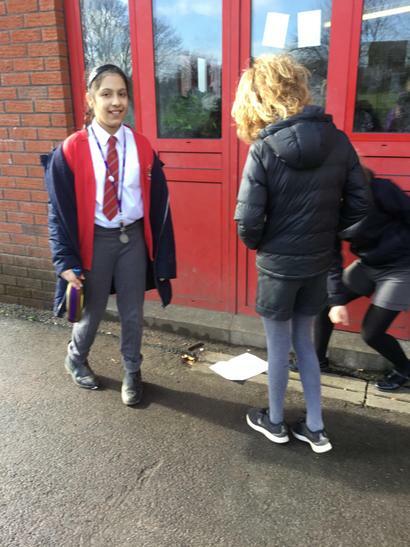 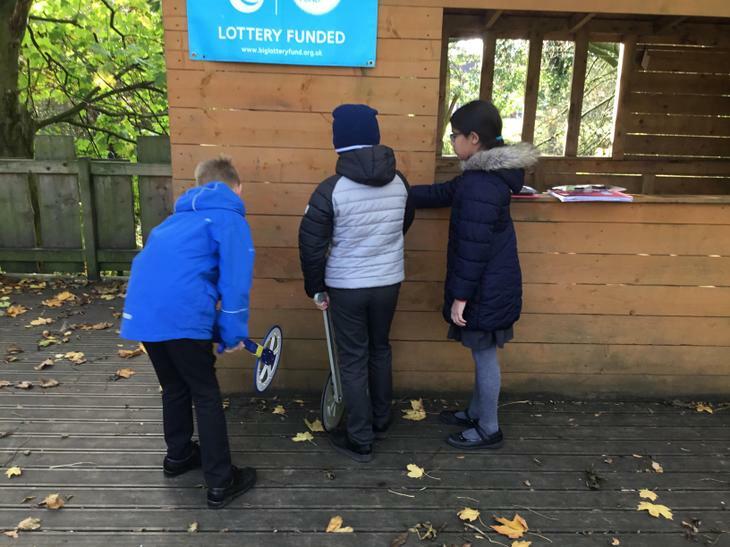 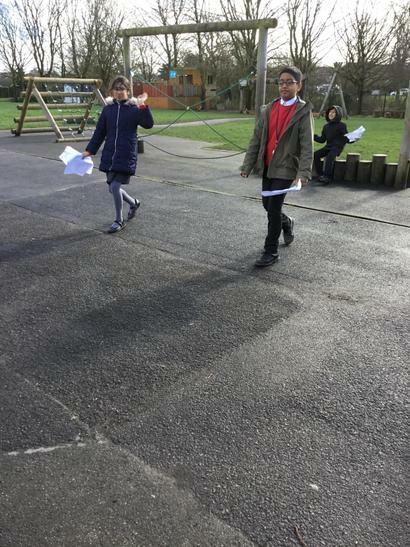 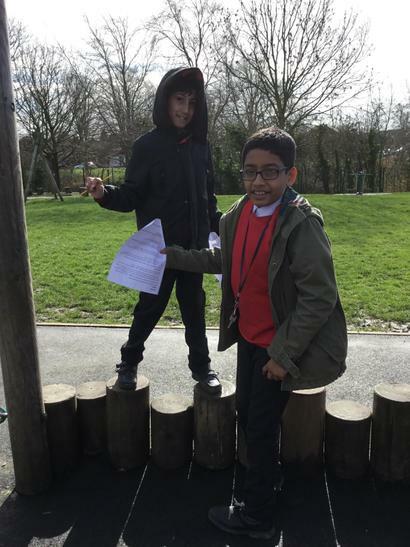 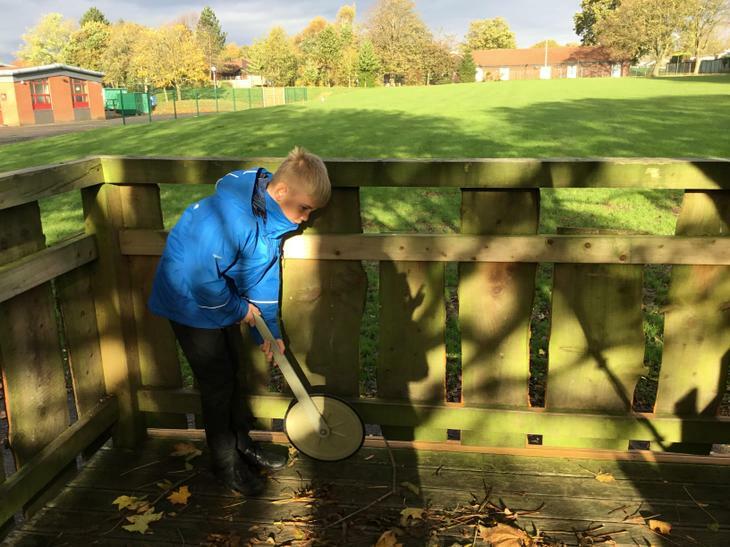 Being able to transfer the skills in reading and drama outside and on paper helped us with our speech. 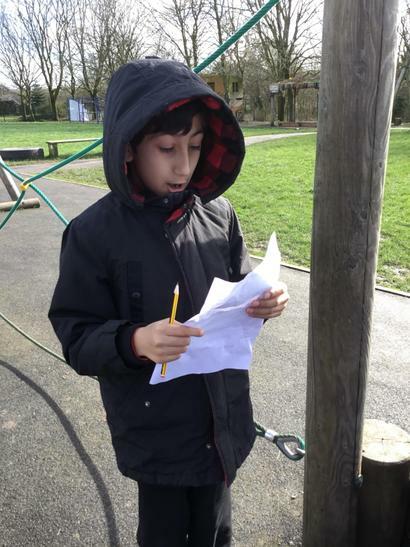 It also allowed us to be more creative and understand the text in more detail." 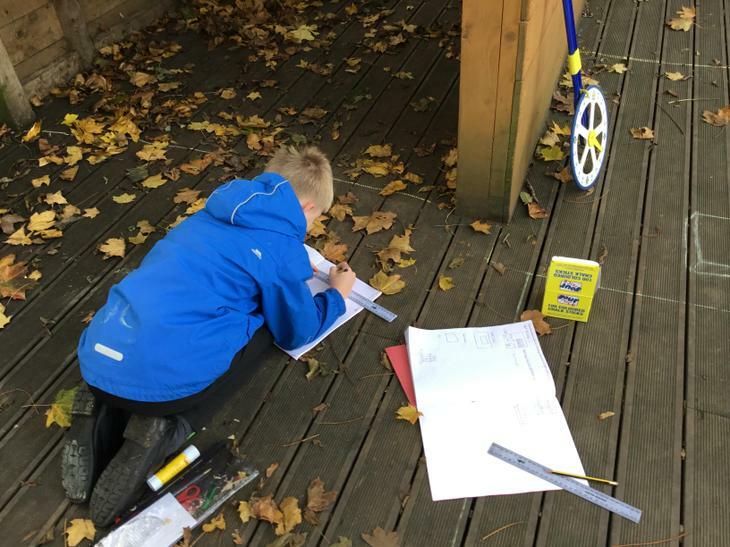 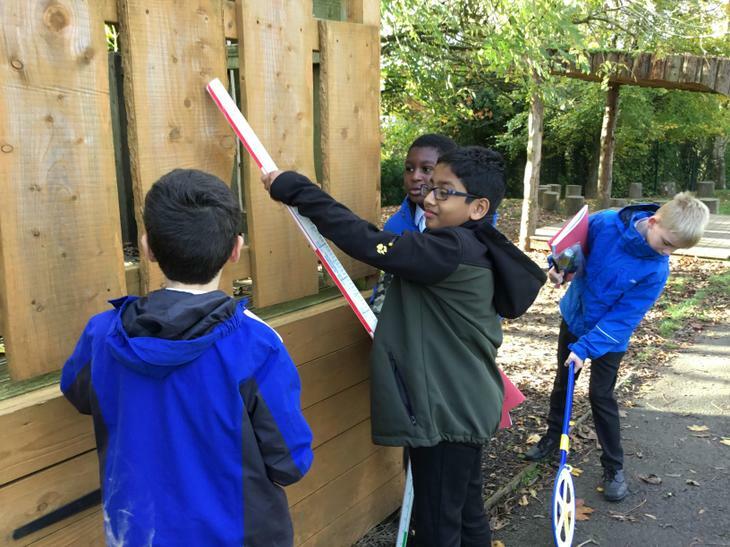 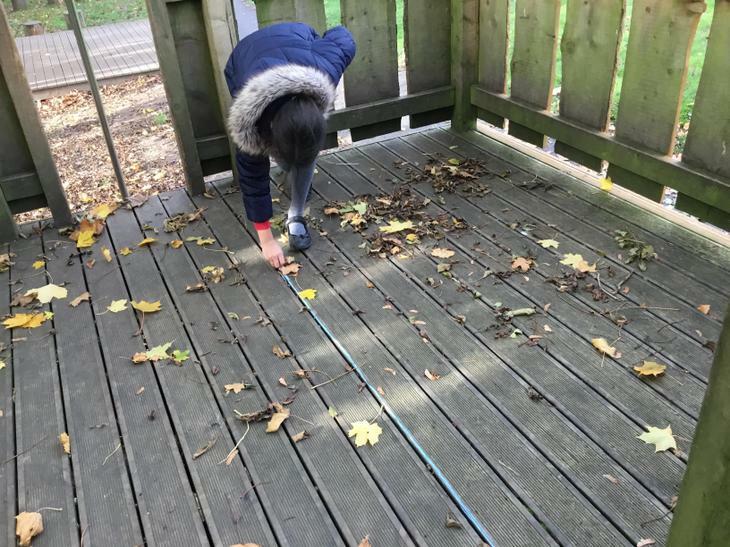 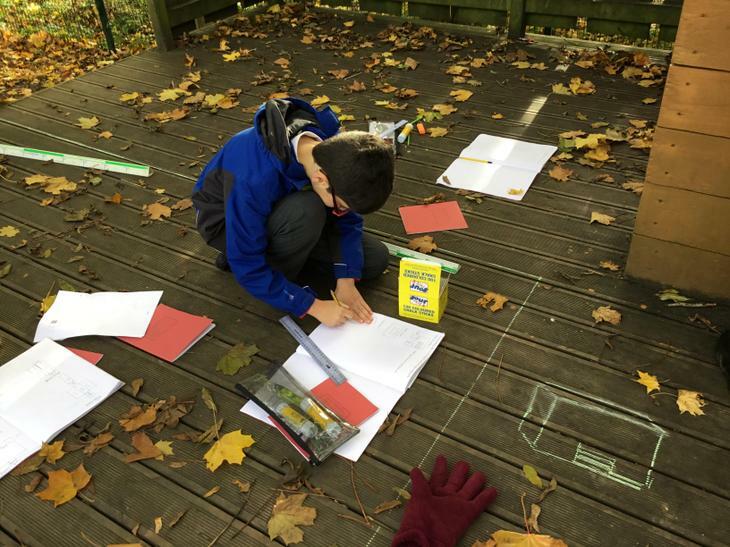 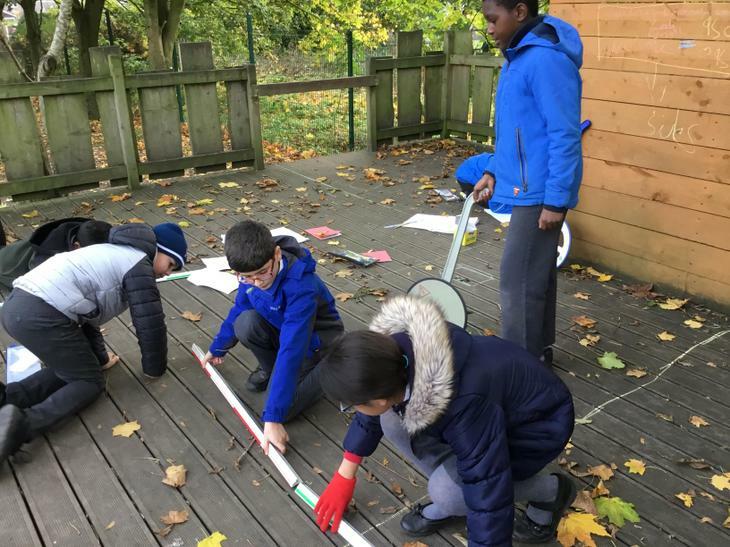 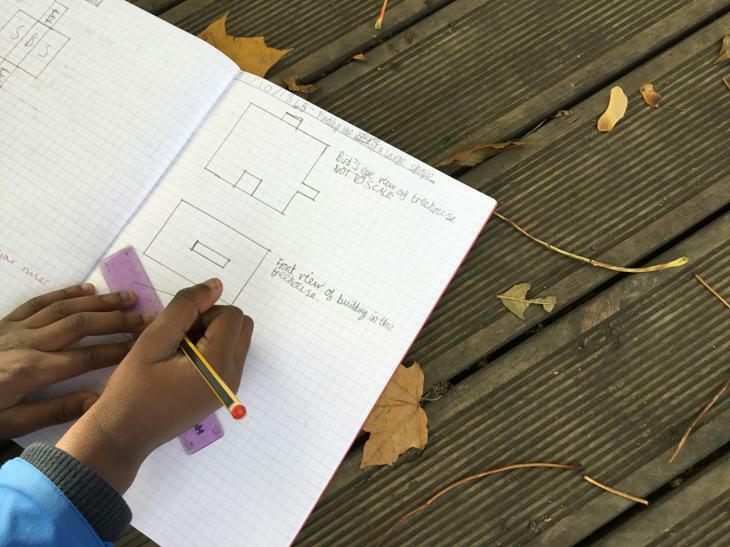 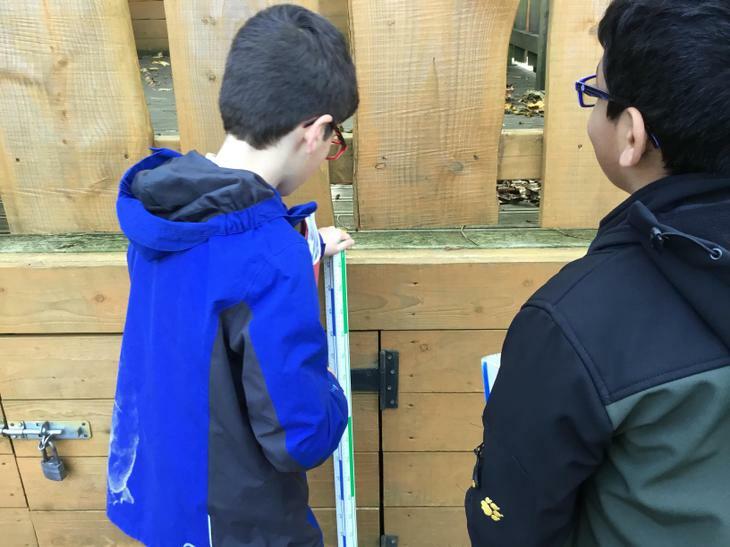 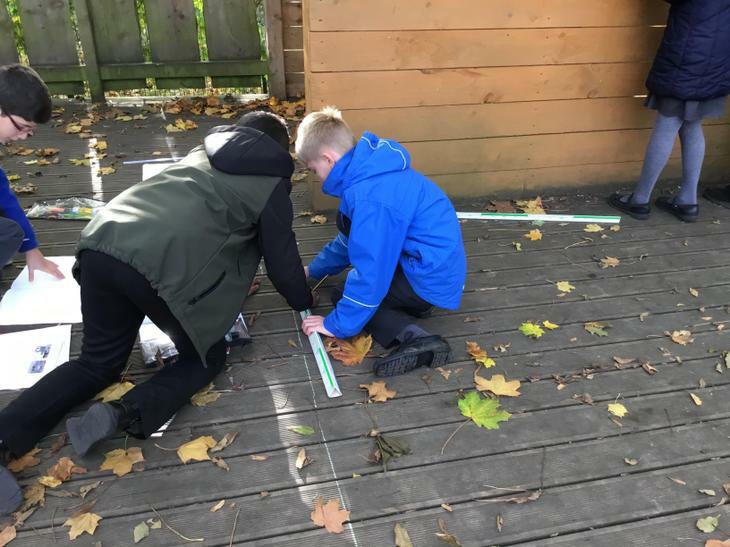 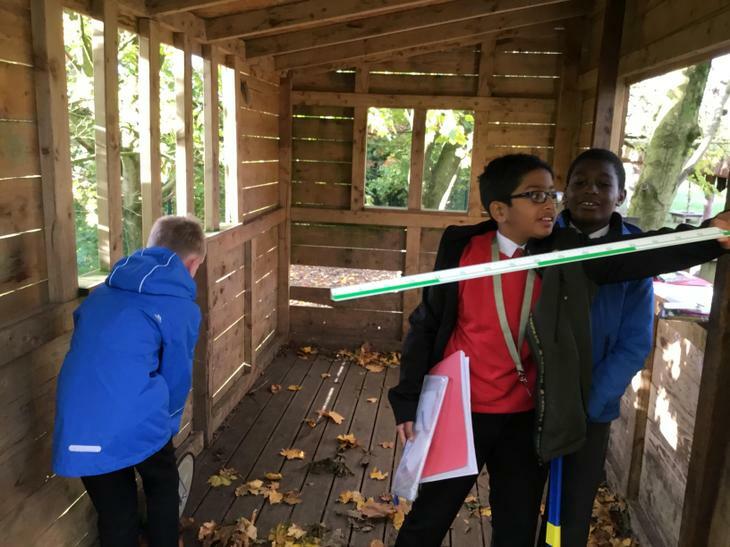 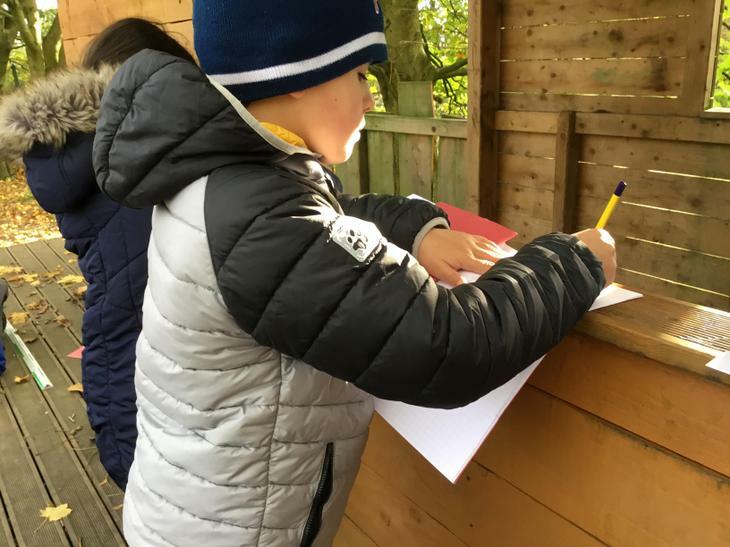 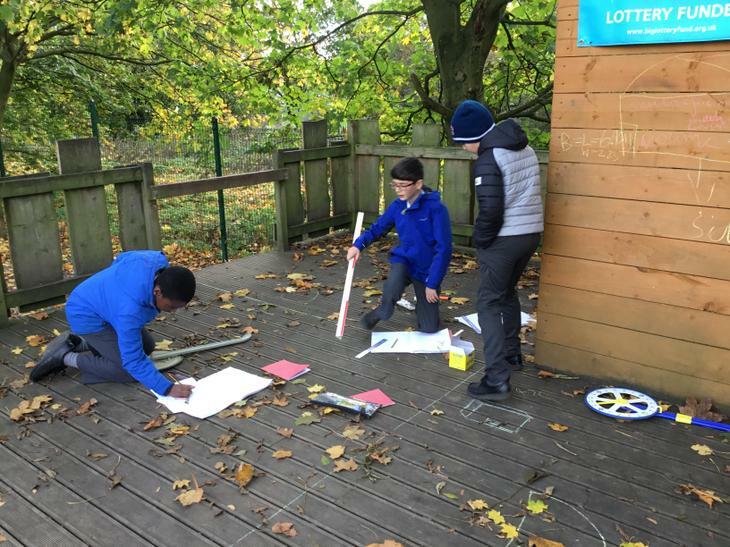 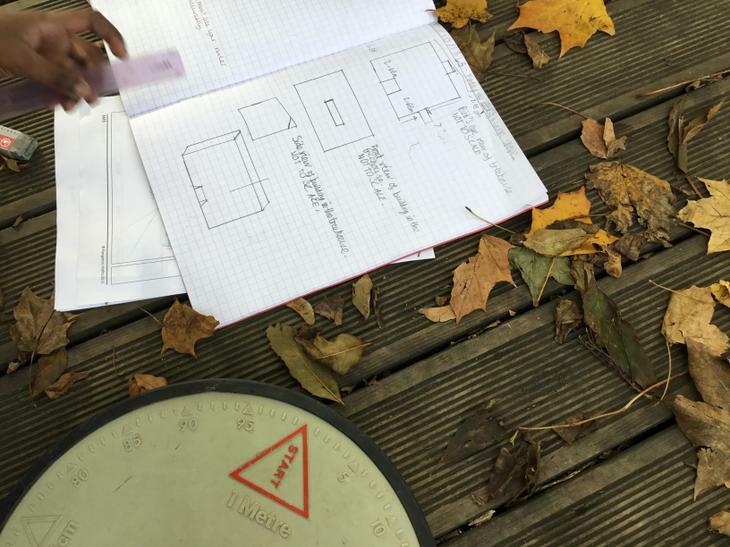 "We were given the task of measuring the volume of the Treehouse. 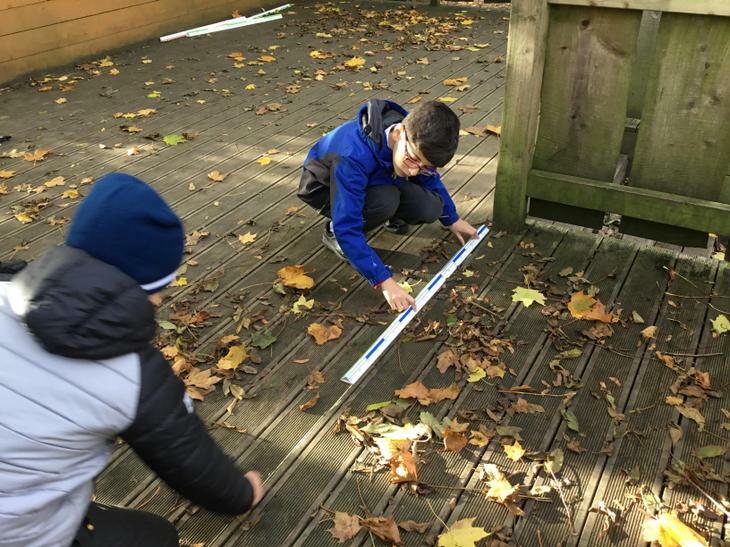 The tricky bit was getting the correct measurement then multiplying the numbers to get the answer. 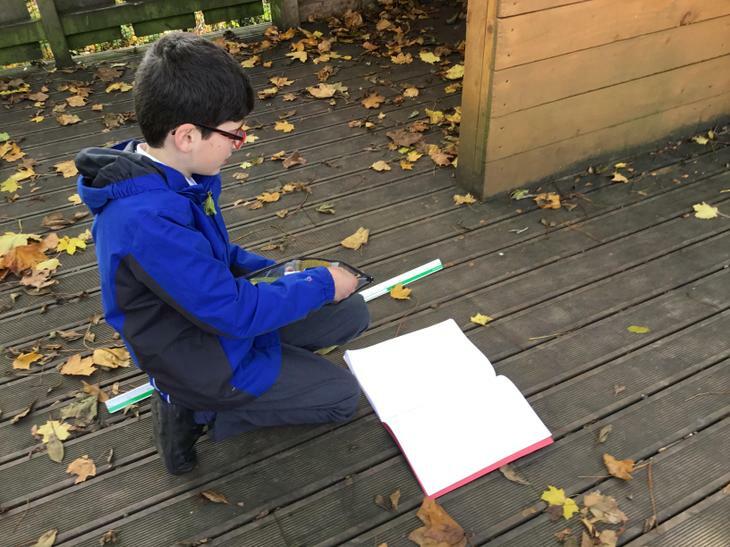 There was also lots of calculations to complete. 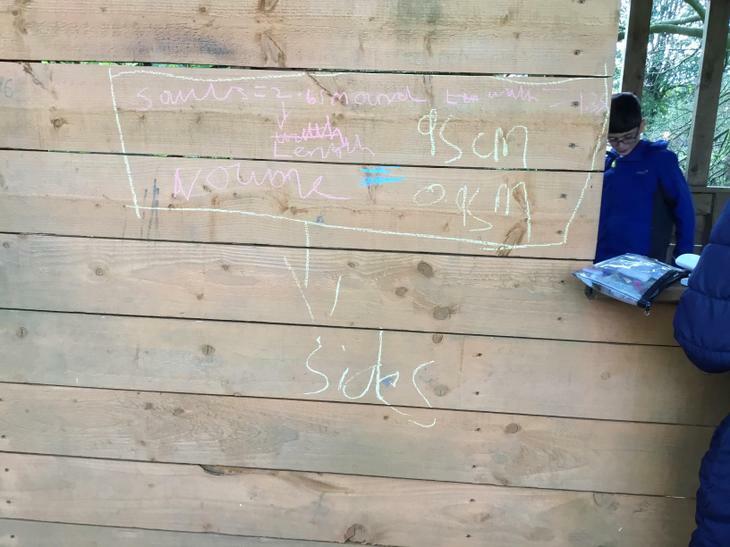 The best bit was the estimating (to get a general answer). 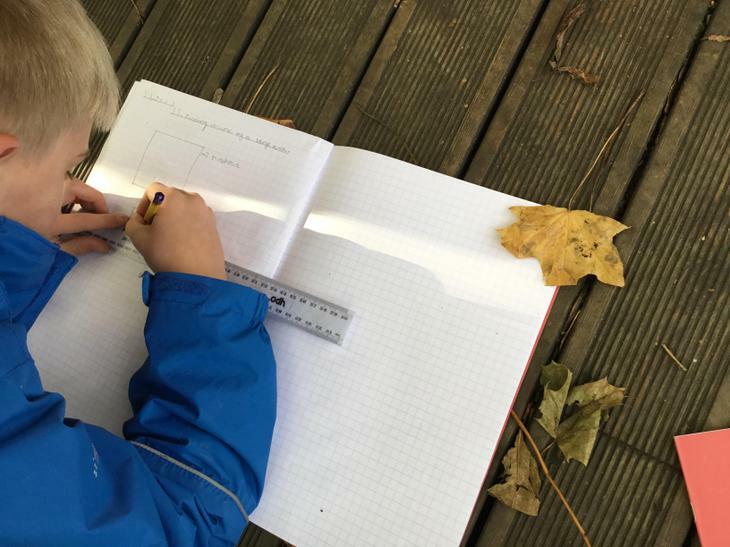 It was an interesting way to do maths. "